The Amelia King Bed without Storage is perfect any house. It is made of solid wood of Acacia and only the Base panel is made of MDF. The melamine finish on the MDF and wood makes it crack resistant and chip resistant. The bed is luxurious and spacious. This makes the height of the bed lower to the ground and gives it more stability. 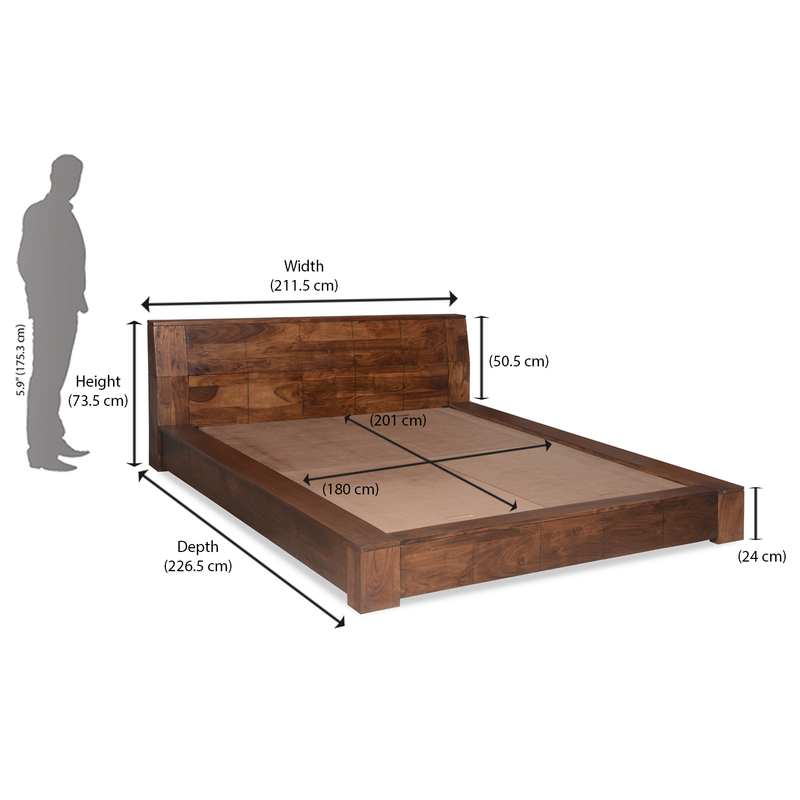 The bed is large enough to accommodate a king size mattress of 2000 mm x 1800 mm. The build quality of the product is second to none and appears to be the best choice in the given price segment. Those who are in search of a King bed on a practical budget can definitely buy this bed for them. It is available at a very competitive and fair price and the melamine finish on the Acacia wood gives it an expensive look. You can check out this product online @home by Nilkamal.